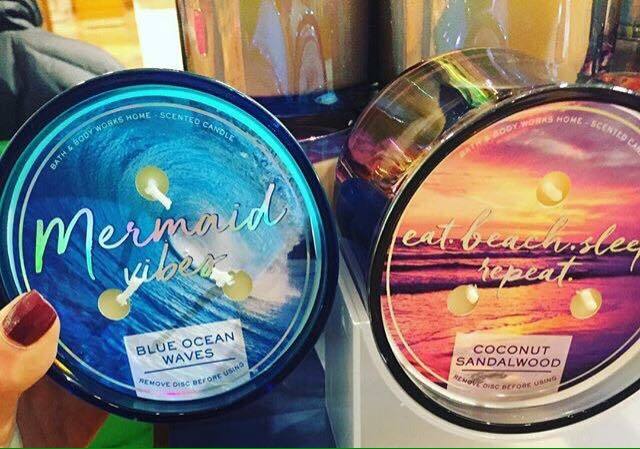 Bath and Body Works have released their new Paradise Body Care Collection for testing purposes today in a few stores in both the fine fragrance mist and ultra shea body cream forms. 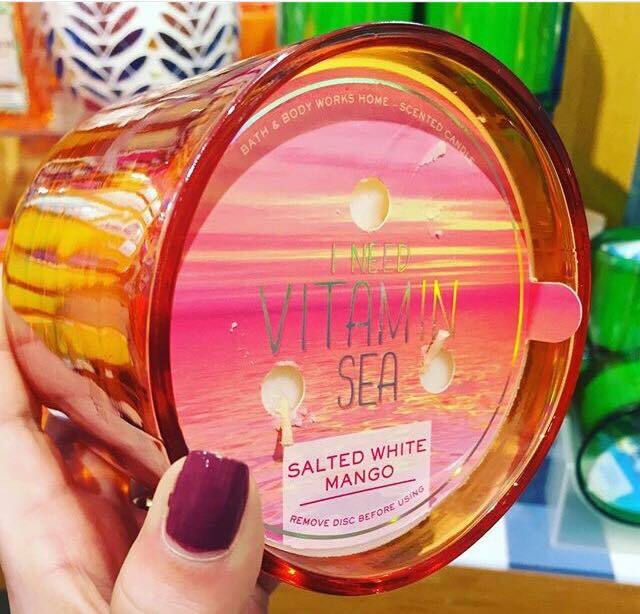 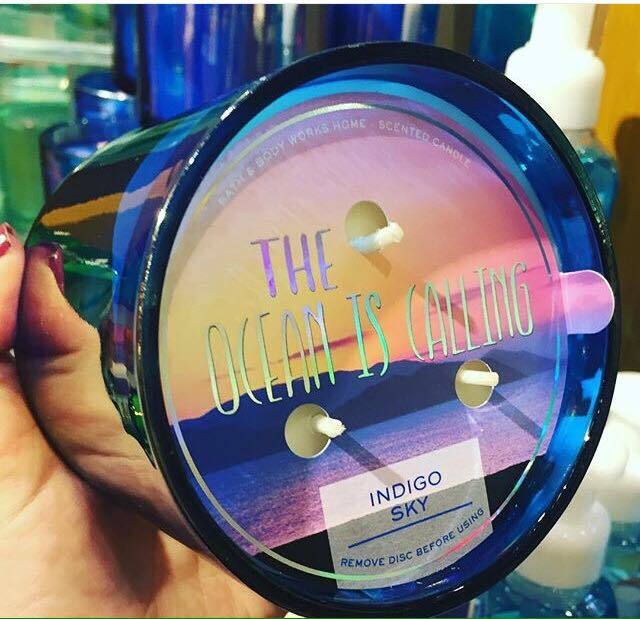 And thanks to a fellow fragrance fan, we see that they also have released the matching Paradise Candles for testing purposes in a few stores as well. 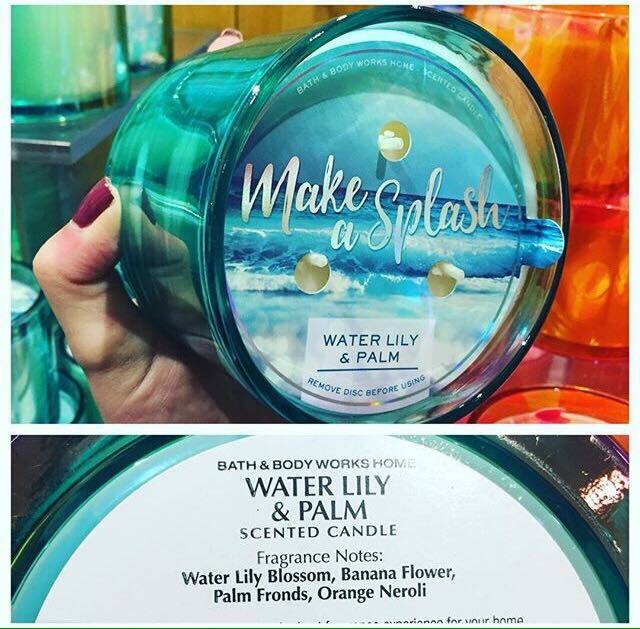 I am not sure when the Paradise Collections will release but usually as things test out, we can see them come out as soon as a month afterwards so these could be part of the upcoming March Floor-set! On a personal note, I loved seeing these bright color photos of these new, testing Paradise Candles. 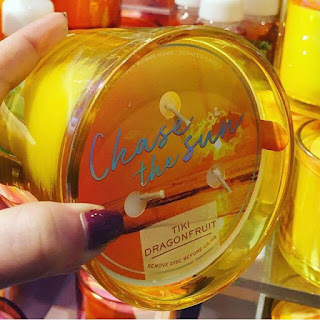 We had received ten inches of snow here last night and nothing can brighten a day up more after hours of shoveling like seeing something Warm and Sunny inspired. 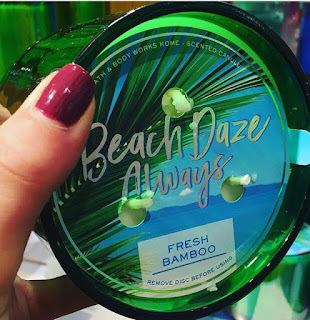 Even though the scents are those we have seen and adored previously, I do like the Marketing themes play on names for each! Colored Glass and Paper Dust covers for lids. Make a Splash - Water Lily and Palm - Water Lily Blossom, Banana Flower, Palm Fronds, Orange Neroli.